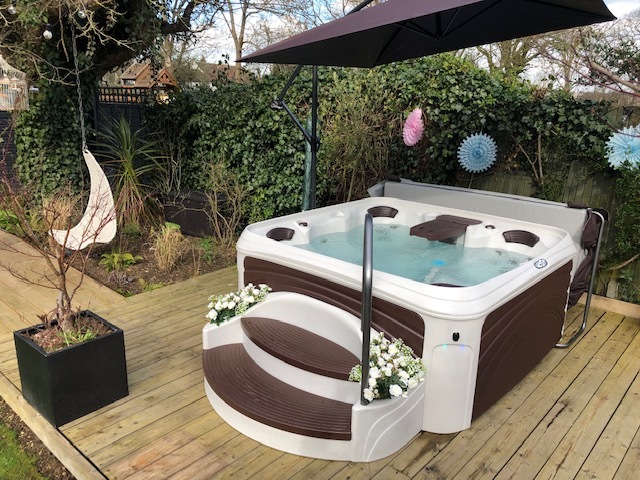 We are super excited to announce our brand-new Hot Tub being added to the Award Leisure range for 2019 - The Award Suite Spa! 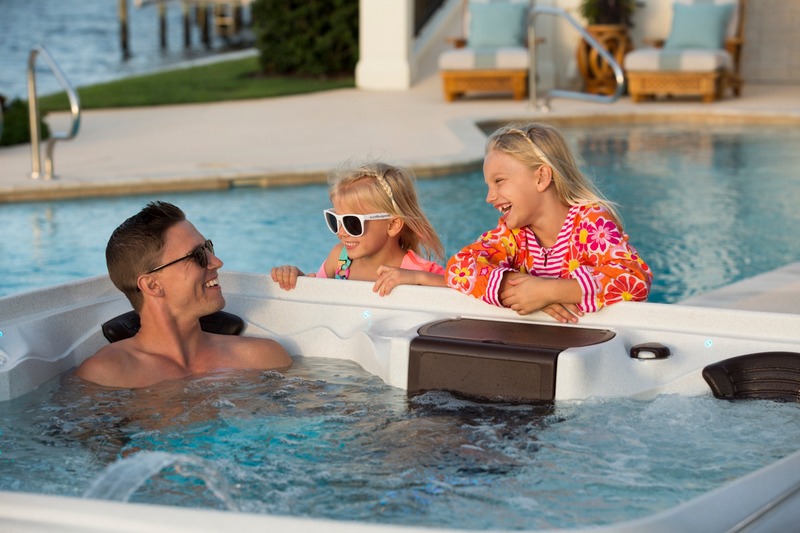 Award Suite Spas are made in Florida and deliver a quality health and lifestyle experience and are built to last, manufactured using cutting edge, environmentally-friendly technology. 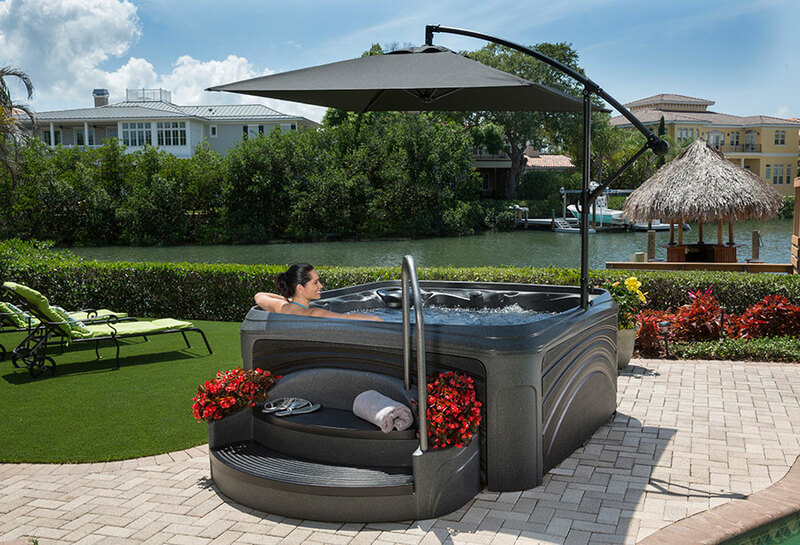 The Award Suite Spas are made from a high-density recycled thermal plastic called polyethylene which ensures that the spa is durable to all weathers and guaranteed not to split, peel or rot. The spa is so easy to maintain that it will look like a showroom model, even after many years. Many other spas use hundreds of pounds worth of fibre glass, steel, wood and resins which make the spa heavy and more expensive. The Award Suite Spas’ rotational moulded technology requires less work and material, making them a much more affordable and earth-friendly product. 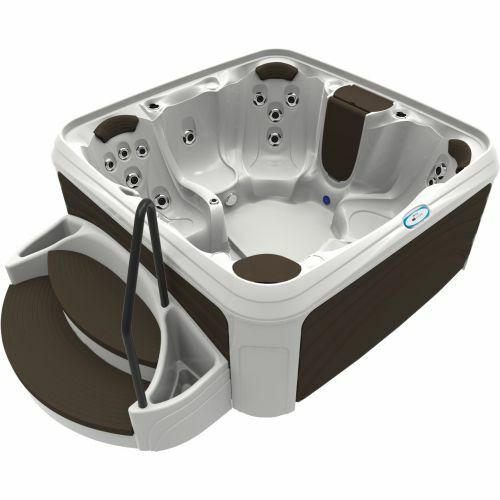 Both Award Suite models feature multi-level seating with corner bucket seats offering a wrap-around massage and a higher cool down seat that acts as a step into the spa. In the lounger version, the head to toe therapy lounge provides total relaxation – so you slide right in for complete comfort without floating out of the seat! The Award Suite Spas are super easy to install, you’ll be soaking away before you know it! 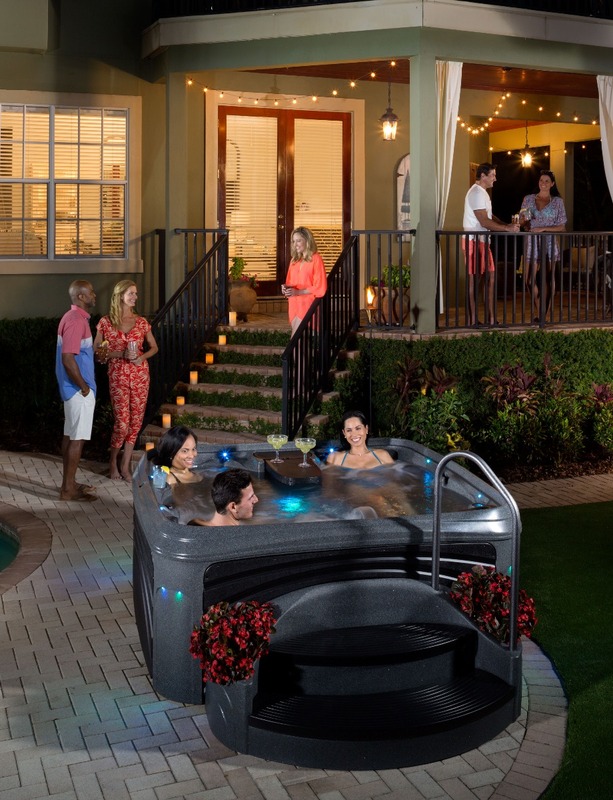 Just like your standard household appliances, the hot tub plugs into a conventional 13 Amp power supply, cutting out the need for expert electrician installation! As they are easy to move around, they are great for those with limited access or minimal garden space. Simply set them where you want on a level surface and fill with a hose! The insulation within the Award Suite Spa is approved by the Californian Energy Commission, meaning you are guaranteed to have the lowest running costs – no more worrying about the cost of leaving your hot tub heated all year round! Water maintenance is also a breeze, being assisted by the built-in water purification system. The adjustable stainless-steel jets are recessed into the shell, meaning comfort and relaxation is guaranteed. The smaller jets offer an intense massage flow, which will help to release muscle tension and relieve pain. So, what do you get with the Award Suite Spa? Built-in drinks cooler, holding enough drinks for everyone in the spa to have the ultimate party! A fold out table which sits neatly above the water to stand your drinks on or play games. The table easily tucks away when not in use to open up the space in the spa. Colour changing lighting in and above the waterline to create the perfect atmosphere for relaxation. 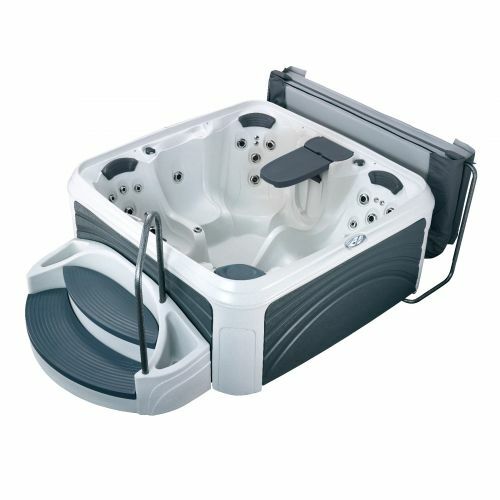 Recessed adjustable stainless-steel jetting focusing on tension areas to offer the ultimate in hydrotherapy. A built-in weather, UV and fade-resistant umbrella covering 44sqft, with a 360-degree swivel design. This means you can position the umbrella over or next to the spa, being perfect for creating a social space if there’s too many people to fit into the spa! Large non-slip, curved, solid steps with a handy built-in storage area for your chemicals, towels or slippers. You even get planters for either side of the steps to create a beautifully-designed garden centrepiece! A sturdy handrail for easy access in and out of the spa. A thermal, water resistant cover is also included, locking in the heat for complete energy efficiency. You also get a handy cover lifter that sits nicely behind the spa, supporting the lifting of the cover. Can you believe you get all of this included?! It’s crazy! All these features offer the ultimate destination for relaxation, health and entertainment. 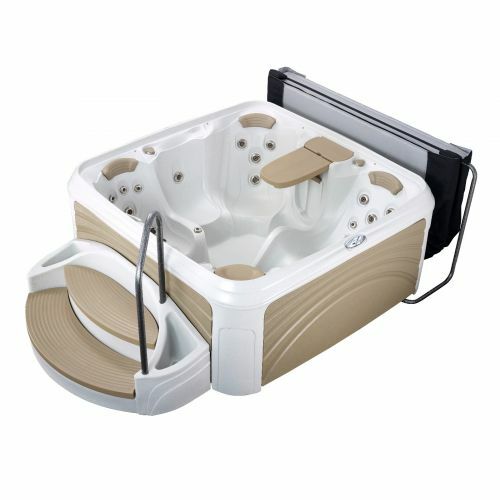 The elegant Award Suite Spas are around 7ft square and available with or without a lounger. The lounger model seats up to 5 people, or the all seated version accommodates up to 6 people. The spa is also available in 2 beautiful colours – black diamond shell with a black cabinet or a white diamond shell with a grey cabinet and the jets, headrests, steps and foldaway table have all been carefully colour coordinated to match the cabinet and shell. 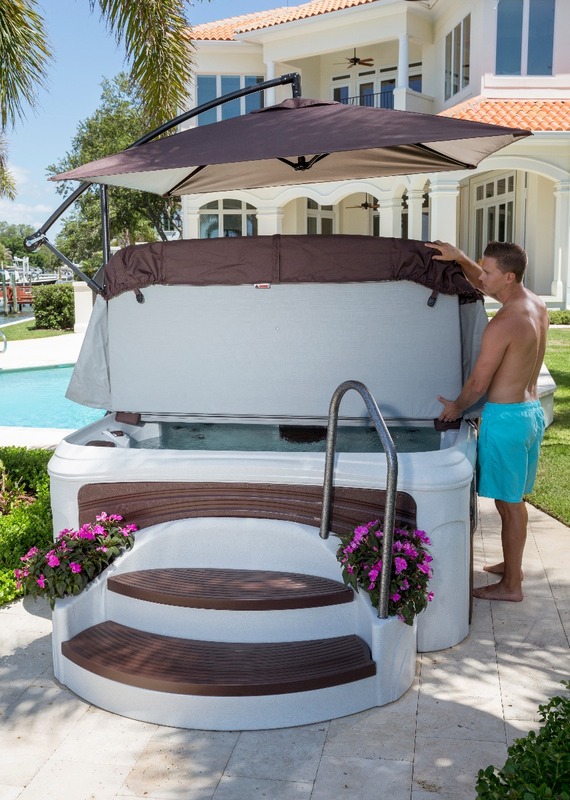 The elegant Award Suite Spas are of the highest quality – they are reliable, durable, and quality – perfect for use all year round and the ultimate affordable relaxation destination. For your chance to win one of our beautiful Award Suite Spas, all you need to do is head over to the ITV competition website and follow the details to be in with a chance! If you’re desperate to get your hands on one – worry not! Download a Free Brochure and get in touch with us at Award Leisure to start your journey to the ultimate hot tub ownership adventure!